Why is it that batons were so popular in the 90s? In hindsight, something that’s often referred to as a ‘devil stick’ probably shouldn’t be used as a toy — even if it is decked out in rainbow stickers. However, that doesn’t mean we don’t sometimes miss the plastic twirling sticks that ultimately did nothing but spin in the air. Luckily for us, there’s a perfume brand that’s bringing the baton back — and giving it a deliciously scented twist. 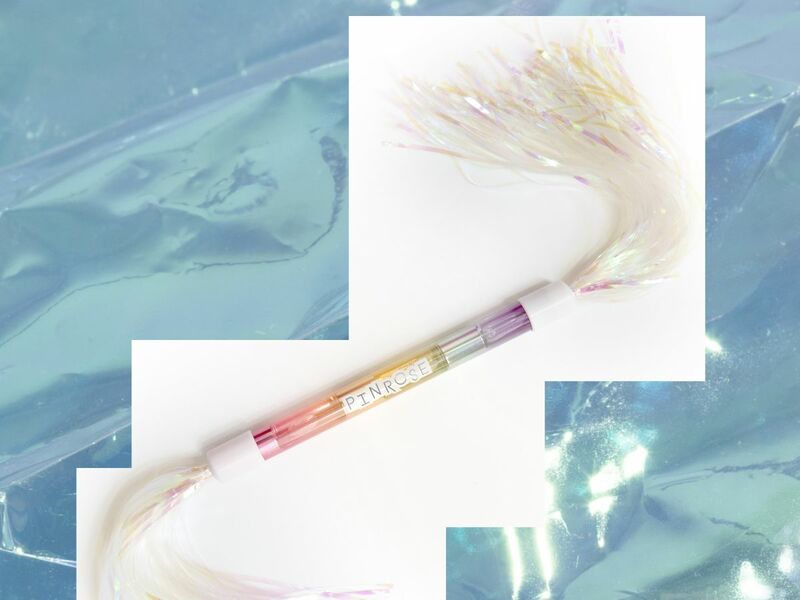 Pinrose, the “Warby Parker of fragrance,” recently announced it’s Twirl & Whirl fragrance baton — a holographic stick of streamers that looks as if its been decorated by a unicorn. Only this time, it’s filled with miniature perfumes. Now, at first we were confused — until we realized it made the perfect Secret Santa gift. Hiding inside the Twirl & Whirl rainbow baton are three of the brands best-selling rollerballs: There is Secret Genius (a warm vanilla), Lil Dipper (a blend of peony and lavender), and Wild Child (gardenia and jasmine). That means you can gift the entire baton and all three scents together, or you can open up the gift set, re-wrap the perfumes separately, and keep the baton for yourself — just in case you ever have a 911 emergency and need to dazzle the crowd with your old-school moves. At least, that’s what we would do.